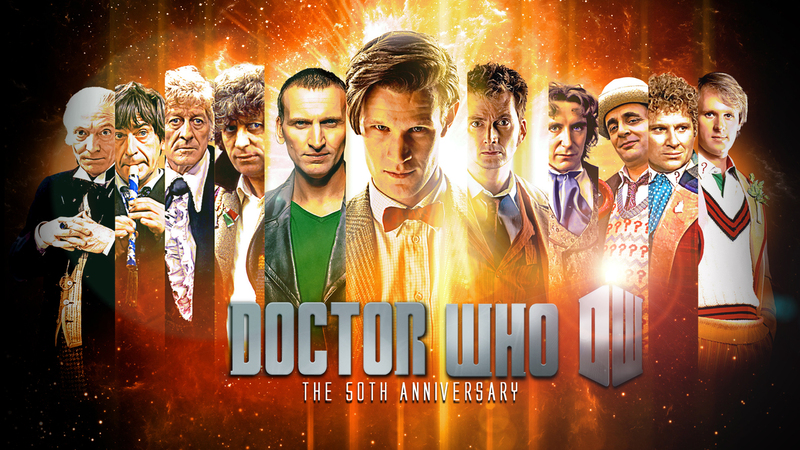 Doctor Who: The 50th Anniversary. . HD Wallpaper and background images in the Doctor Who club tagged: doctor who the doctor 50th anniversary. This Doctor Who wallpaper contains anime, comic, manga, cartoon, comic buch, karikatur, and comics. There might also be zeichen, plakat, text, tafel, schilder, and poster.
" Anywhere Du want, any time Du want. "